This is Deep Fried Figure's first collectible figure based on Hauke Scheer's popular Mechawhales characters. 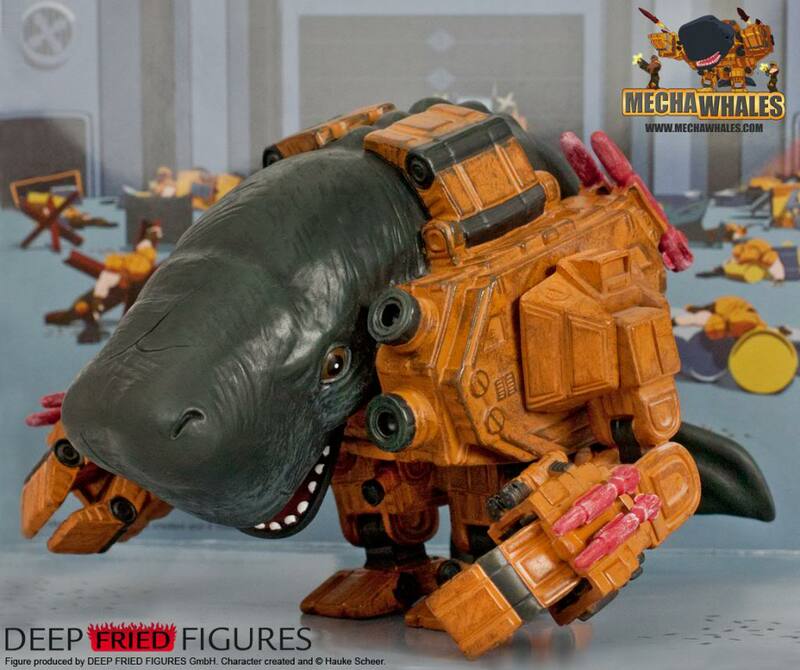 The Mechawhales figure is 5.5 inches wide and 3.5 inches tall. It is made from PVC and has a highly detailed paintjob. The shoulders, wrists and tail can be rotated. The figure comes in a collector friendly box that makes it very easy to take the figure out of the packaging and putting it in again. It also comes with a cardboard diorama for displaying the figure outside the box.